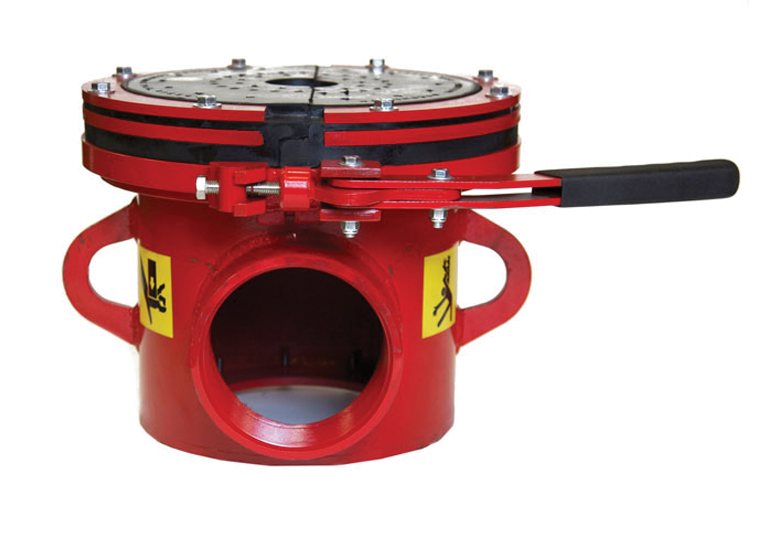 The Divertech Pneumatic Diverter System is equipped with a multi-stage flow through rubber boot system, which is inflated with air. 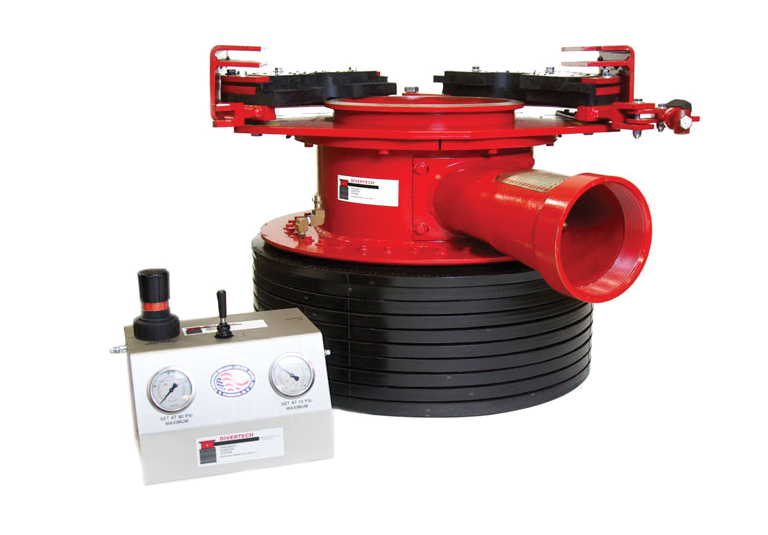 Inflated to only 10 psi, the boot system on the standard unit exerts over 1,000 pounds of pressure against the ground. Once inflated, the boot requires no further air flow to remain pressurized. Since the boot is flexible, adequate sealing is obtained even on unlevel terrain. A small, easily mounted vacuum system is used to retract the boot when the job is finished.